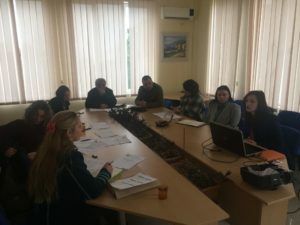 The NEO + staff conducted the field monitoring visit for the Tempus project “Lifelong learning for sustainable agriculture in Alps-Danube-Adriatic Region – LIFEADA” This activity was organized at the University of Korҫa’s Faculty of Agriculture premises, on March 29th, 2017. 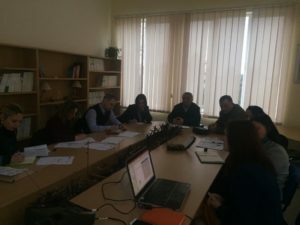 The 3 year (2013-16) LIFEADA project supported the modernization and harmonization of higher education in the Alps Danube-Adriatic region through the development of Lifelong learning (LL) system for sustainable agriculture and by enhancing networking between EU and Partner countries. 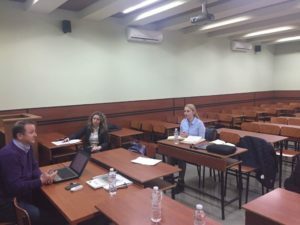 The project is coordinated by the University of Zagreb, in Croatia and involves 11 partner institutions from Croatia, Austria, Germany, Slovenia, Kosovo, Bosnia & Herzegovina, and Albania. 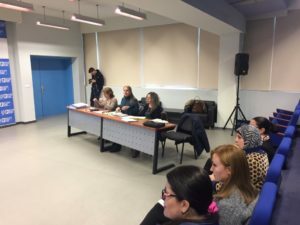 The Overview of the Higher Education system in Albania is published. 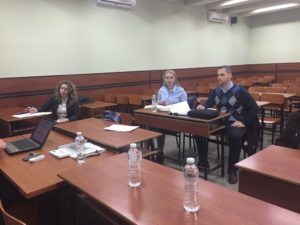 This document provides information on the existing legal framework, policies in place, legislative developments, as well as on main statistical data regarding the Higher Education system in Albania. 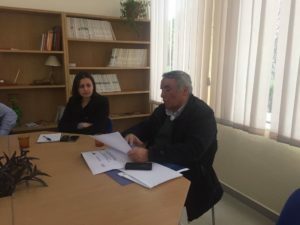 This document has been produced by the Education, Audiovisual and Culture Executive Agency (EACEA) on the basis of contributions from the Albanian Ministry of Education and Sports Albania National Erasmus+ Office. 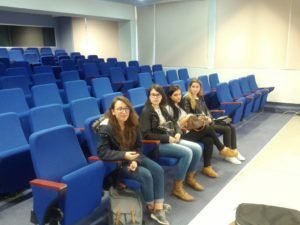 Field Monitoring Visit for the Erasmus+ ICM projects at European University of Tirana. 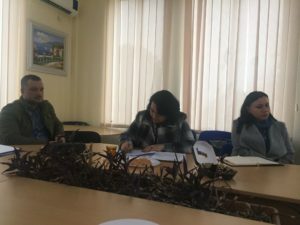 The NEO + staff conducted on March 13th, 2017 the field monitoring visit for the International Credit Mobility projects in implementation by the European University of Tirana. 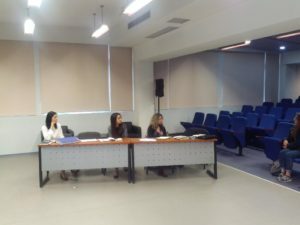 This event served to ensure that all binding documents for ICM implementation were signed, for monitoring the fairness of criteria used and transparency of the selection process of participation in mobilities, to enquire on service provision to ICM participants and recognition of the credits earned by them during the mobility period by the European University of Tirana, as well as for NEO staff to give recommendations for the improvement of ICM projects implementation in the future. 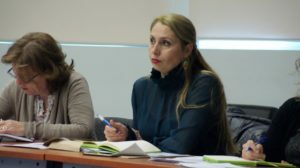 The European University of Tirana, during the September 2015- March 2017 timeframe, has implemented 13 Erasmus + ICM agreements with HEI’s from 8 programme countries. 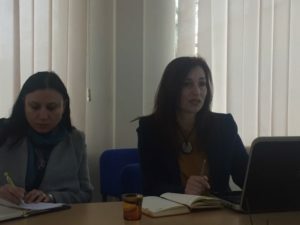 The NEO + staff conducted the field monitoring visit for the Erasmus+ CBHE project “Curriculum Development joint European Political Science MA – euroPS”. 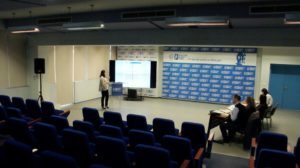 This activity was conducted in a joint meeting held at the European University of Tirana premises, on March 13th, 2017. 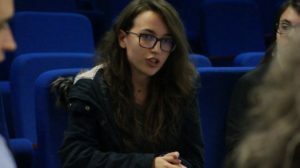 The 2 year (2015-17) euroPS project aims to develop a joint/multiple Master programme in Political Science to be accredited at all project partners and the development of a multilateral management of this master. 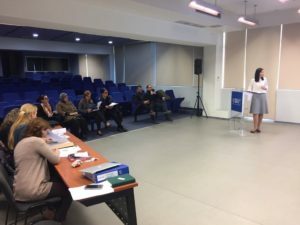 The project aims at implementing a multilateral Joint/Multiple Degree (JD) for Political Science on the MA level (120 ECTS) with diploma supplement for all participating partners on a European standard. 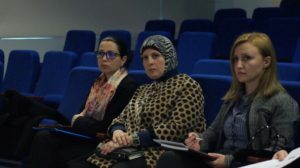 The project is coordinated by the University of Salzburg in Austria and involves 10 partner institutions. 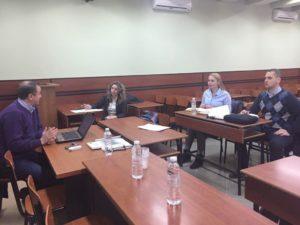 The European University of Tirana and the Faculty of Social Sciences in the University of Tirana are the Albanian beneficiaries of the project. 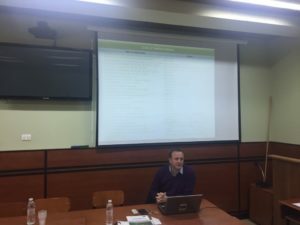 The NEO + staff conducted the field monitoring visit for the Erasmus+ CBHE project “Western Balkans Academic Education Evolution and Professional’s Sustainable Training for Spatial Data Infrastructures – BESTSDI”. 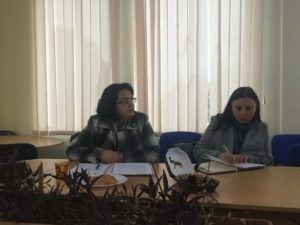 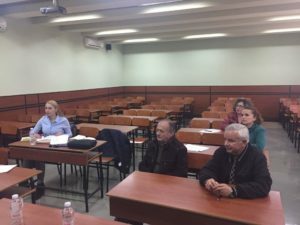 This activity was conducted in a joint meeting held at the Agricultural University of Tirana’s Faculty of Biotechnology and Food on March 7th, 2017. 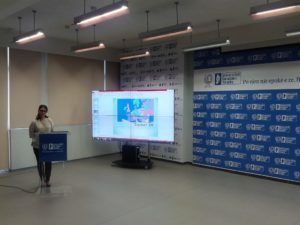 The 3 year (2016-19) BESTSDI project aims at improving the the quality of higher education in Geographical Science and Technology, SDI and geodesy, as well as enhance its relevance for the labor market and society. 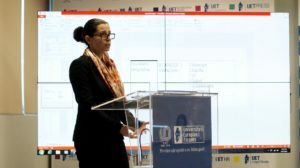 The project is coordinated by the University of Zagreb in Croatia and involves 18 partner institutions. 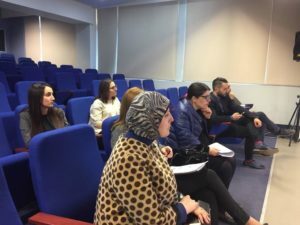 The NEO + staff conducted the field monitoring visit for the Erasmus+ CBHE project “ICT Networking for Overcoming Technical and Social Barriers in Instrumental Analytical Chemistry Education – NETCHEM”. 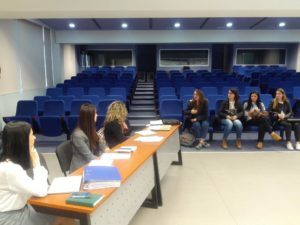 This activity was conducted in a joint meeting held at the Agricultural University of Tirana’s Faculty of Biotechnology and Ffood on March 7th, 2017. 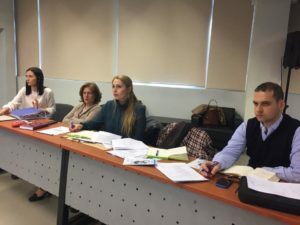 The 3 year (2017-19) NETCHEM project aims at strengthening the capacities for international cooperation in Serbian and Albanian higher education institutions (HEIs) and enterprises in order to increase their education level and technical capacities regarding analytical instrumentation usage for Environmental & Food Safety Control (EFSC) through Technology Enhanced Learning and to increase benefits in health, environment, tourism and economy in Serbia and Albania toward their EU pre-accession development. 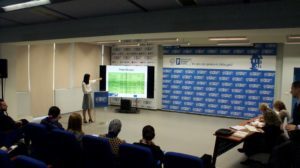 The project is coordinated by the University of Nis in Serbia and involves 14 partner institutions. 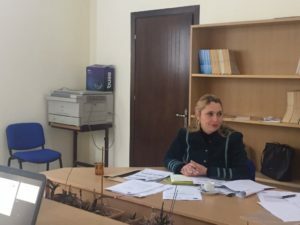 Mrs. Federica Mogherini, the High Representative of the Union for Foreign Affairs and Security Policy / Vice-President of the Commission, during her visit in Albania, held on March 3rd 2017, 17:00 hours, at the Polytechnic University of Tirana premises, a meeting with Albanian Erasmus students.